Do you have a baby in your future? Grand baby? I have a special friend who is having a baby and this would be the perfect gift for the new little one. 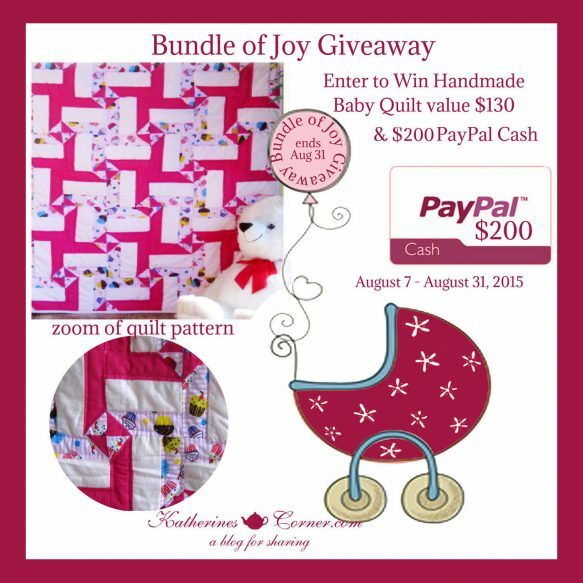 Who wouldn’t want to wrap their Bundle of Joy in a beautiful handmade quilt? 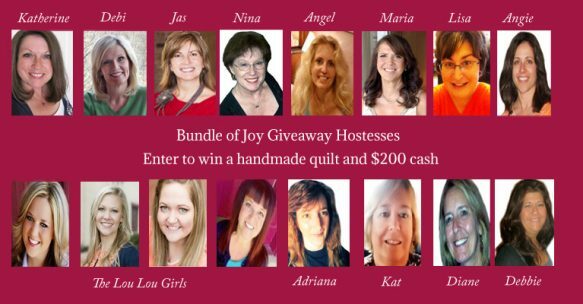 And who wouldn’t want to win $200!!! It is time for another great giveaway at Katherines Corner and this month’s Bundle of Joy Giveaway is sure to make you smile. You have the opportunity to win this beautiful handmade quilt and a bundle of cash too. $200 ( via PayPal) . 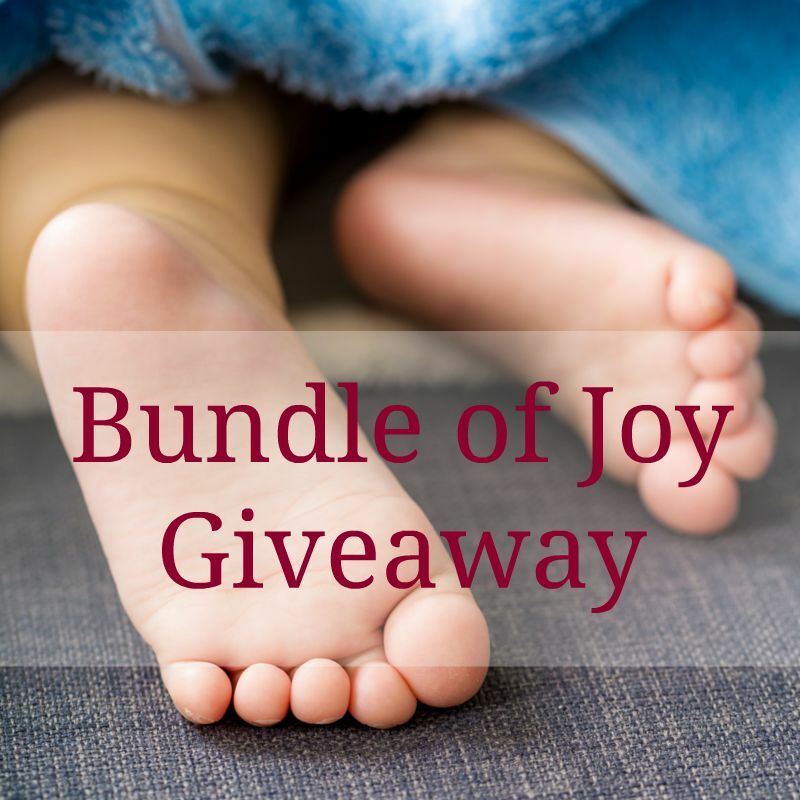 Good luck in the Bundle of Joy Giveaway! Love the pretty colors in all the quilts. Such nice combinations. They are all wonderful quilts! Good love Janet! My favorite quilt is The Animal I Spy. I would use the PayPal towards back to school shopping. I bet this would come in handy for you school shopping! Good luck! What a delightful giveaway! I have a new grand baby due soon and I know that PayPal cash will come in handy! Congratulations on your new grandbaby! Good luck! You know how much I love being a part of your giveaways Katherine! I like the Teddy Bear Nighty Night quilt. Julie = They are all so cute! All of the quilts look amazing. I really like the ‘peekaboo frog’ quilt. It’s so pretty. They are definitely pretty quilts!